Berlin Bier Shop: Trappist is not a Beer Style ! 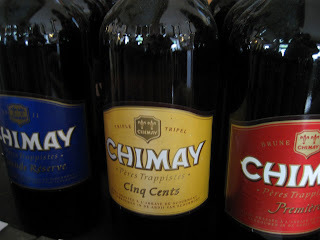 “Trappist” is not a style of beer. Trappist monks brew pale ales, dark brown dubbels, blonde tripels, quadrupels, witbiers and strong, dark ales. Now, with the addition of a brewery at the Austrian Trappist monastery, there will soon be even more beers added to the list. With so much variety, one could hardly use the word Trappist to describe a style of beer.